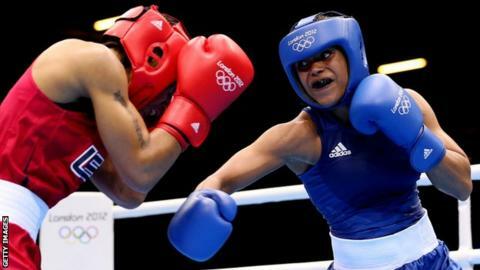 Natasha Jonas, the first woman to box for Great Britain at the Olympics, says she will come out of retirement and turn professional. Jonas, 32, cited a lack of hunger and dedication for new achievements when she retired in 2015. She lost to Katie Taylor in the quarter-finals at London 2012 having won World Championships bronze in 2012. "The decision to leave was a harder choice. The decision to go back was a lot easier," Jonas told Sky Sports. Liverpool lightweight Jonas has linked up with trainer Joe Gallagher and is not ruling out a rematch with Irish fighter Taylor. "It was one of the best nights of boxing I have ever seen, but I'm on a personal journey and if that means us meeting in the end then we'll see," she added.